Bruce Lee in a comic book? Not exactly. The book didn't star Bruce Lee directly but a character named Shang-Chi who first appeared in 1973 and stared in his own book called Master Of Kung Fu that ran for 50 issues until 1977. 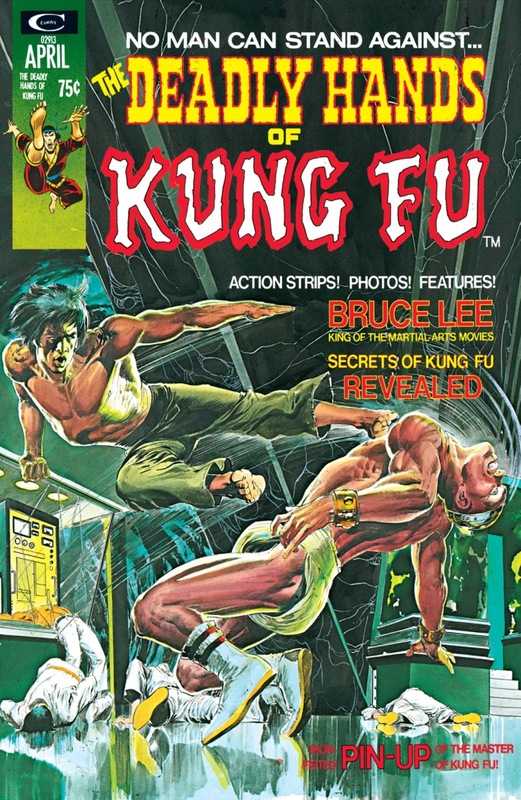 The Deadly Hands Of Kung Fu ran for 33 issues as a sort of magazine format companion to Master Of Kung Fu and even had the Immortal Iron Fist appear in some issues of the series.